It arrived on time -I congratulate you and your team for the friendly,fast and efficient service.I have heard a lot lately from overseas that “rugby is the only thing that NZ can do well”. Now I can quote back ” that the UK Croquet Association has endorsed your mallets as its leading brand”. Argument won. I am very pleased to have a sighting line and don’t intend to advise anyone, especially Kay, of its existence. Very best wishes to you, Fidel and the rest of your team. You should be very proud of your workmanship, products, and customer service. Following up on my phone call last Tuesday, advising that I had received my Mallet in good order and more than happy with the finished product, you might be well pleased also to know that it has been the object of much admiration amongst many of my fellow Club members and to whom I have passed on your brochure. Thanks for arranging the skill in the mallet’s construction.It arrived this morning in good condition.Within an hour I used it to go through the first hoop.You have a good turnaround on orders. Absolutely amazing. Mallets arrived this afternoon. Beautifully packaged. Could not believe how quickly you filled and despatched the order. Everyone is delighted with their mallets as am I.
Mallet arrived safe and sound this morning. Can’t wait to try mallet out tomorrow. Craftsmanship ………outstanding. My mallet has just been delivered, I cannot believe the service, I can’t even get a letter to Sydney in that time. Ordered last Wednesday, crossed two major sea passages, NZ to Tasmania and arrived Monday – amazing! The mallet got here just as I was leaving to play at the local croquet club so I had lots of fun using it all afternoon. It’s a work of art George, I love it and just know am going to improve now. Many thanks for your great service. You are building up quite a reputation here in Kingston Tasmania. My mallet was signed, sealed and delivered in perfect condition yesterday afternoon. Thank you so much. Your service and timely correspondence is a credit to your great customer service. I wish to pass on a huge ‘thank you’ for the croquet mallet cover I bought for my dad for Christmas. It arrived in Queensland, Australia on the 23rd December which was the day before I had to fly to Sydney for my family’s gathering. I was so pleased to have the parcel in my hands to actually give to my dad rather than just a picture of what he would receive should delivery be late. Perfect timing! The mallet cover is beautifully made and my dad is so stoked he is going to make himself a new mallet to do the bag justice.Thank you for your wonderful and professional service. Hi George. I’m impressed. Beautiful mallet with great balance. Best decision I’ve made! I’m happy to inform you that I have just received the mallets, and they look great! Thank you for a great trading and good service! Talk to you again next year;) happy Christmas! Our beautiful mallets have arrived and already my game is improving! Thanks for the great advise and the ultra-quick delivery.We will recommend Wood Mallets to the other members of our new club. yes I agonized over my purchase of a new Wood’s mallet. Did I need one ? Could I justify the purchase ? Thanks to Jim Saunders here in Melbourne for spending time with me selecting the mallet to best suit my needs, the “Evolution” 40 inch, three pounds. After 21 hours of playing “Golf Croquet” spread over two weeks my game has improved beyond my expectations. Placebo or my new mallet ? No doubt, my new mallet. Many thanks Jim and all at Woods. If there is a downside to this story, it is that my wife now wants one. Just want to say how pleased I am with my Evolution mallet – played with it last Wednesday and it felt so comfortable and had such a true direction. Also know that Judy’s husband is also delighted . Last Wednesday we both scored shots from Hoop to the next Hoop in one hit with our new mallets. 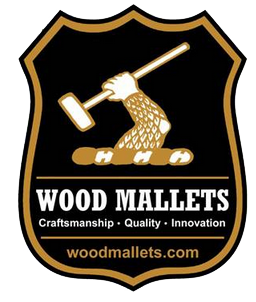 Also the Customer Service we received as well as the prompt delivery was great – will certainly make recommendation to others who may be looking to purchase the best in Mallets.Thanking you and your Team in NZ. The two evolution mallets arrived in South Australia yesterday addressed to Barbara Fox at Golden Grove. I had contacted you separately about purchasing a croquet mallet for my husband’s birthday and you were good enough to send both to Barbara’s address thus avoiding extra postage. He used the mallet today and was thrilled with the results – money certainly well spent. All the members at our club were in awe of both mallets. Thanks once again for your prompt attention to my emails asking various questions before purchasing. Just a bit of feedback. I have tried my new evolution mallet in practice and a winter tournament on the weekend and am very pleased with it. My croquet (association) standard slipped last season, but with this mallet I hope to and improve my shots decrease my handicap. I find the mallet great to use for all the croquet shots. (My last mallet was not good for rolls) but good for stop type shots.) I appreciate that good croquet is a combination of having both a good mallet and a good technique. Last season was deficient in both. Hi George, Thank you for being so quick in sending my new croquet mallet. I LOVE it As a relative novice at croquet, only been playing for about six months, and with a golf croquet handicap of 13, I was pitched today against THE best golf player in our Geraldton croquet club. I am pleased to tell you that I won that match, 7-4. Whoopee, all thanks to my new mallet! I think the glint of the sun on my gold lettered name may have dazzled him, or perhaps it just scared the pants off him :-). Anyhow, thank you once again for my mallet and such quick service. The mallets arrived spot on time and the they absolutely gorgeous, almost to lovely today with, however the group met yesterday to play and they were bowled over with them. It has been a delight to do business with you and I will heartily recommend you to any one who wants to buy their own mallet. Thank you again for your prompt response with every thing. My Discovery Mallet arrived last Monday and i have used it twice with an improvement in my game.Your suggestion to use a heavier one has proved you correct as i did not twist the Mallet when hitting the ball.I thought i would need to adjust to the heavier one but it felt quite comfortable.Thankyou for your advice and speedy delivery. association) have benefited from the increased confidence I now have when playing shots. Initially I thought it would take time to adjust to a new mallet but this has not been the case. My all-round play improved almost immediately and hopefully will continue to do so. Thanks for the effort you have put into designing and marketing such a good product. Our Mallets arrived safely this morning. Thank you for all your assistance and refunding the excess postage. The mallets look superb and I am looking forward to having my first game this afternoon. Just letting you that the mallet arrived safely today. Thanks for your very efficient service, ordered Thursday in N.Z., arrived Tuesday in rural Victoria. I received my new mallet yesterday. It arrived in good order and it looks beautiful. I will put it to good use this weekend. Thank you for your excellent service and for keeping in touch with information on where the porcess is at. Much appreciated. Your service completely blows me away,I’ll be telling all Members and Associate Members off your outstanding commitment to your patrons and strongly recommending your products, Many Thanks! Some time ago now, you made a flash new mallet for me with a very specific shape in the EVA grip. I meant to let you know just how good the result was for me – the mallet was EXACTLY what I wanted, the grip fits my hands so very well it is almost unreal and it is just an absolute joy to play with. Not only that, your customer service was first rate. Thank you George for my beautiful new Evolution mallet. It works superbly. I took it to Wanganui for the weekend and was very successful and have finally reduced my handicap to 9. Just a pity I did not get my initials put on it. I have just paid the money through to your account. A big thank you from Plimmerton Croquet Club for the donation of the two mallets. We hope that you have lots more orders. I received my new mallet which you made exactly to my specifications (invoice 5697). The first opportunity to use it came yesterday, Saturday, and it completely matched my expectations. I am very pleased with the finish and balance. Please convey thanks to the master wood craftsman responsible. The mallet created some interest and at least two people immediately said they would order one. So, you may get orders from Peter & Del Heywood in the near future and possibly others. I just wanted to contact you to let you know I love my new Evolution Mallet and to thank you so much. I must admit I was surprised when I first got it out of the box I had in my mind a dark reddy brown mallet like your standard evolution mallets but here was this stunning white mallet… it is really beautiful. I have only had the mallet a month and already it has made a huge improvement to my play. It immediatley felt more comfortable which I believe is due to the much lighter weight than my previous mallet.Anyway I have just played in the Hawkes Bay Association Tournament in the weekend, my first tournament since November last year where I was totally uncompetitive and lost all my games and started to seriously look at purchasing one of your Evolution mallets but at a lighter weight than standard. I am very pleased to say that although I have had no match play since November and have only had my new mallet for a month I was very competitive winning 4 games out of 7 which saw me tied 3 equal on 4 wins with David Wickham whom I beat in one of my best games. Our mallets arrived this morning. We are delighted with both of them and can’t wait until tomorrow night to try them at the club. Many thanks again for all your help, we are most appreciative. What a surprise I got when I arrived home this morning and my husband said my mallet etc had arrived. The mallet is just beautiful, what lovely grain in the wood. I love the handle. Actaully it looks too nice to use. However I will practice this afternoon. Thank you so much. So well packed and I am amazed how quickly you made the mallet. I am just thrilled. Got ’em!!! …Thanks very much. We LOVE them. 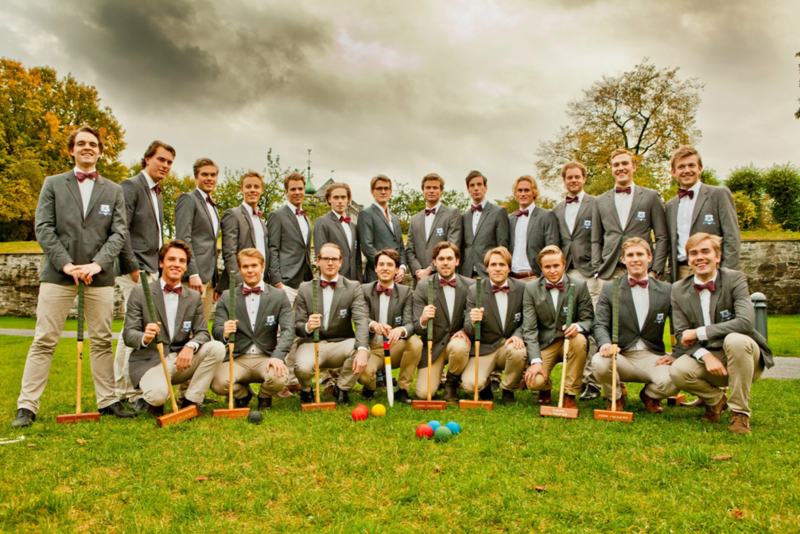 I’ll send some pics over the weekend of the Benjamin Kendrick Croquet Society. Thanks, George. John Rourke USA. I really like the mallet and I doubt that I’ll change again. The driving weight of that 10 mm plate right behind the ball really appeals to me. At a number of tournaments I’ve acquired quite a reputation for hitting in and roqueting. I think when I came to you I was in association croquet on handicap 0 and now I’m -0.5. I managed to knock over a couple of -3.5 players in the past season which is pretty good for me and I’m holding my own in the -0.5 to -2 grouping. My thanks for a really good mallet. Just a short note to let you know that my new mallet turned up today. It is of your usual excellent standard. Thank you for your prompt service. I am looking forward to playing with it tomorrow. I received the mallet yesterday in good order. It is beautiful. When the members of our nascent, but growing group see this I am sure other orders will follow. George, Our Evolution Mallets arrived last week, what beauties! I put a nice oil finish on mine and I must say, it is one fine piece of wood, not to mention its’ playing capabilities. Everyone is delighted with the way they look and play. I’m sure you will be getting more orders in the near future from our club members. It wasn’t that great of an adjustment, going from the 9″ to 12″ of course it has a much better feel, and my long roquets are improving each day, but my apprehension over mis-hits from “stubbing” the mallet head was misplaced. I’m so glad that our research brought us to your web-site. It just goes to show, “you can still get really great quality, at a reasonable price, if you find the right master craftsman! Thanks Again. George, Sorry for the long message string, but I wanted you to remember this particular Evolution Mallet. After nine months it still looks great, plays true and well. It has managed to improve my handicap! When I ordered the Evolution I was a new 11 now I’m an 8+23. What more can you ask for………. Thought you might like to hear about your mallet results at the 10th Annual Dorthy Fosse Invitational. There were 34 players from Florida, Texas, Arizona, North and South Carolina, and one from Ontario, Canada. Nine of the competitors were using the Evolution! Of the 5 trophies our club brought home, 4 were won with your Evolution. First Flight, 3rd place, Second Flight, 2nd and 3rd place, Third Flight, 1st place. Not a bad showing! Of course we have taken your mallets to other events, but not in these numbers, usually one or two maybe three. Our club loves your Evolution, please keep up the great work and craftsmanship. Just to say thanks for the prompt attention to our order, and what excellent equipment it is! All arrived safely yesterday lunch time (Monday). I wanted to let you know we opened the box with our new mallets on Christmas morning. They look absolutely fantastic!!! Thank you very much. They both look like works of art. Nevertheless, we can hardly wait to use them. Unfortunately, that will have to wait a few months as there is about 8 inches of snow on the ground right now. Thanks again and you can be assured that we will highly recommend you as a source of mallets. Just to let you know that the Mallet has arrived safely and is just perfect. George, you did an exceptionally good addition, thanks. Pam hasn’t had time to play with it yet but has swung it around the home and likes the feel. I received the mallet and played yesterday. My roquets have never been more true. Thanks for the great mallet! The weather in Perth has been terrible and this morning was the first opportunity we have to test them out. They are sensational and look magnificent and gives me such confidence when going for the shots. Thank you for your patience and understanding , and excellent service. You certainley got them right. My mallet arrived safely on Wednesday — just 14 days after it was ordered. To make a mallet to order and to get it to regional NSW in that time is exceptional service. The mallet looks good, and feels good. Thank you very much for the thicker-than-normal grip. It is much appreciated by my arthritic wrist. I had a win yesterday over a lady whom I don’t think I have beaten this century — probably coincidence, but maybe not. In either case, I love the mallet.Your service, workmanship, and price are outstanding. You may add me to your list of satisfied customers. My mallet arrived today safe and sound. Thank you for your prompt and efficient service. I’m now looking forward to my first game with it.It may interest you to know that our small club on Phillip Island in Victoria has 31 members, four of whom now use Wood Mallets. When I told my wife I was ordering a croquet mallet in NZ, via internet, she thought I had stayed a bit too long in the sunshine… In fact it was like dealing with a shop next door: very quick and good feedback, record delivery time (3 days from Auckland to Geneva CH) and… a superb mallet which not only handles very well but also looks beautiful. I won my first game with it! Thank you George. Hi George, my mallet arrived safely this morning, it is beautifully crafted and a joy to play with.. all we have do now is improve the concentration. Many thanks and regards from Bright. I got the mallets in today and they look fantastic! The additional touch of the nail for the Ole is what makes you guys the best. Now we will have to wait and see if you put enough magic dust in them for us to defeat St. John’s this year =)Thank you again and I am sure that next year we will have another set of mallets to order. George, Just wanted to send you a quick note. We continue to be very pleased with our Wood mallets. They make a world of difference with the fine quality and craftsmanship. This year we had a family sweep at our local tournament. My teammate and I outlasted and outplayed 100 teams to win the championship in the adult division and my daughter and her partner won the youth division championship. Keep up the good work George…. We love our mallets!!!! Thank you for the AWESOME mallets! They arrived in only four days from when you would have received my order. Now THAT’s service! I have never owned a quality mallet before I bought your Hurlinghams, and now I see the difference! Thank you for adding a whole new element of precision and power to our croquet games of South West Missouri. Dear George, Thank you for the mallet and getting it to me before Christmas. It is truly made of the finest materials available and exceeded my expectations. All of my friends are extremely jealous . So be expecting more orders from Houston. Once again thank you for the fast service and superb craftsmanship. I’ve been meaning to write you for several days to let you know how well the mallets you sent us have served us. Two weeks ago we played our first USCA sanctioned tournament using the mallets and I’m pleased (and proud) to report that we placed second! We were overjoyed, first time out with a new mallet, we expected it was going to require more adjustment time.We were also very proud to show them off, and when we revealed the price….jaws dropped! The best part was I was able to sell my Solomon for more than the price I paid for one of yours. We also took with us the set of balls we got from you, just to show them off, and to inquire how we might go about getting them approved for sanctioned play. The first comment everyone made was how well they sounded when struck, you had a very good idea of your stroke before looking up. Of course we were not permitted to use them, and we only bought the first colour set anyway, but we wanted people to see that there was something out there that is a worthy rival for Barlow. My mallet arrived in the mail today. I’m very pleased, it’s quite beautiful. Thanks again. My croquet mallet arrived yesterday. I am very impressed. It is a beauty! In todays world it is not often you get superior craftsmanship and quality materials when ordering a product through the mail or on the Internet. Also, thank you for you the prompt, and efficient, response to my order. WOW! What a nice mallet! It’s beautifull. And it got here so quickly too. I am very impressed. I suspect I’ll be ordering one or two more very soon. I’m going out right now to play and I think my buddies will be very envious, so you’ll probably be hearing from me very soon. Thank you much. Cheers! Thanks for the quick delivery at the other end of the world! (about 1 week from order to receipt from N.Z. to Austria!!! )For my feeling you do not only offer wonderful croquet equipment: Your service beginning from answering inquiries by e-mail up to info by mail that the mallets are shipped and status of shipping in your homepage………..that`s really unique and shows that you are taking all your customers very seriously. My mallet arrived a couple of days ago, taking a little less than a week to arrive. I played my first game with it just last night and I must say, I would never have imagined that a mallet would improve my game so much. I wouldn’t be surprised if you receive a spate of orders from Marietta, GA in the coming weeks.Thank you for your craftsmanship. There are several excellent mallet makers out there.Of the makers of traditional mallets, Wood Mallets are hard to beat. They are made in Hawkes Bay, New Zealand, but are shipped anywhere. At US$150 each, they are excellent value, and play as well or better than any other traditional mallet that I have yet tried. My mates who play polo say that George Wood’s polo mallets are great too. Received my mallet yesterday just in time to use it in our league and got lots of compliments. I love the mallet – it looks and feels great. If you are ever in Michigan (from April to October), stop in to play a round. You can check out my friends course at: www.waterloocroquetclub.com It’s modest, but full sized and a hell of a lot of fun. Thanks again. Just to say my set arrived safely on Friday and I’m very pleased with it.I have been playing all weekend and I find the quality is very impressive. I think the set offers far better value than comparable Jacques sets. Wishing you every success. It’s Thursday here in the US and I wanted you to know that the shipment was delivered in perfect condition this morning! What incredible service you offer. When I saw your address, I knew I had to make this purchase from you. We’ll be getting more shortly. Sincerest thanks. Yesterday UPS delivered your goods, they’re in perfect shape. I’m perfectly satisfied with your products, some brilliant craftsmanship! Thank you for doing business with me, perhaps we will meet again. I received my mallet on Monday and had a hit with it on Tuesday in less than ideal conditions…. (lawn I was playing on was more like a paddock and weather very humid so hands felt like slipping on bare wood handle)….. my initial feelings about the mallet are very good, and I played a few croquet shots that I would have struggled to achieve with my other mallet (accuracy wise).I wish to thank you for the work you have done for me. Cheers. The case and clips arrived today. And I just wanted you to know the case is extremely nice, and it happily fits my 38″ mallet which I purchased from you last year. There is just one problem. It is so nice I don’t want to get it scratched by checking it on the airplane. I am going to see if they will let me take it on as a carry-on item. Thank you for the recent shipment of the mallet for my father. He loved it, and the carrying case. It made his Christmas (again!) Thanks again. You do a great job. Thanks for your excellent service. We very much appreciate it and expect to enjoy our new mallets. Occasionally, we have been using Wood Mallets NZ that our friends have let us borrow when they are not using them. We have been very impressed and decided that this was the model we wanted to purchase for ourselves. We are looking forward to their arrival. Wednesday, 15 December (right on schedule), we received the mallets you made for us. Thank you very much for your excellent service. The mallets are beautiful and we can hardly wait to use them. Your service and delivery is quite phenomenal. When you have product in stock, you get it here quicker than people in our next State, and when you have to make it – well then you are only on par with normal US stocked items!